Choose a high quality, professionally designed postcard to increase awareness of your holiday event. 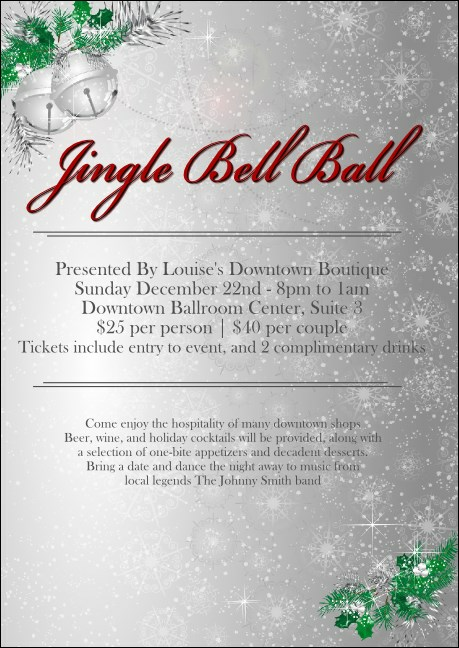 The Jingle Bells Postcard has clear text outlining your event on a soft silver background, with delicate snowflakes falling behind. Fill out the easy template for quick shipping and printing. TicketPrinting.com has the posters, invitations, and tickets for your next event.